When you are finished putting all your items in your Shopping Cart, Check out using "Offline Order". Complete the order and print the last page (So you have a total). At the bottom of that page, there is a link to the Financing Application. Complete it and read the terms and Submit the Application. 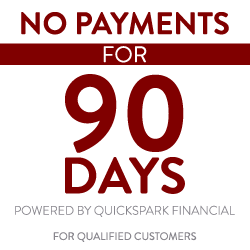 We will get a copy of the order and will wait for the approval of your financing.